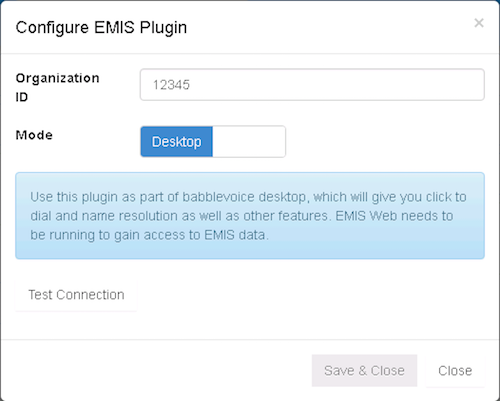 Before you start setting up the EMIS plugin, you will need to make a few changes within EMIS Web. 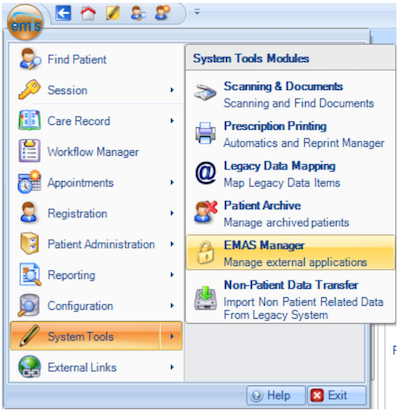 Ensure you have manager credentials to be able to log into EMIS Web to make changes. 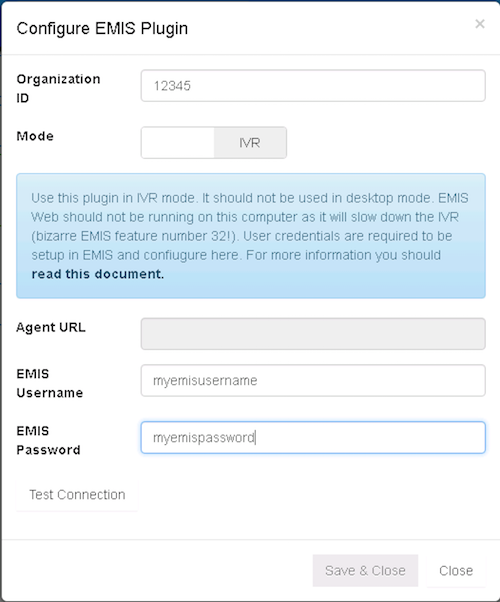 Any computer, whether in desktop or IVR mode, requires EMIS Web to be installed onto it. If your practice intends to use the IVR within the plug-in, you must have a dedicated machine that can run during the time you intend offering the IVR. 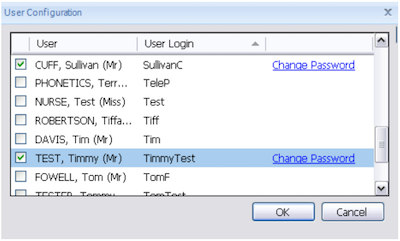 To create an account for the IVR to use exclusively, first open the EMIS Web client as a administrator account. 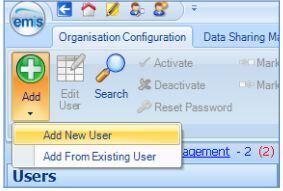 From this view you will be able to add a new user account to EMIS. Make sure you have the “User must change password on next login” tick box, unticked as this account will not actually log into an EMIS Web Client. Next you will need to configure the permissions for the account so that it can actually perform all of the nice automation features. Back to the EMAS manager. In EMAS manager click Edit Users. For all users you wish to access EMIS through ensure the box next to them is ticked. Once setup, the plug-in needs loading. From the main menu in babblevoice Desktop, select ‘General: plugins’. In the Install section, select EMIS and the + button. 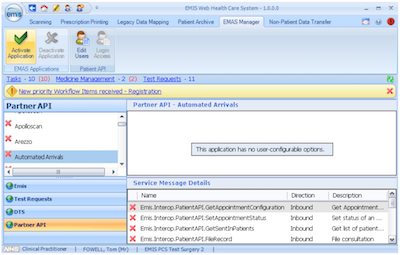 Once loaded ‘EMIS General: Configure EMIS’ will appear in the main menu. Select this to configure the plug-in. No credentials are required as the application as it interacts with EMIS Web and the user logged into that session. Offer session holders - allow patients to book appoints by session holder (Dr/Nurse) name, when switched off appointments are offered unnamed. Offer checkin - allow patients to use the IVR to actually check in to an appointment - at the time of the appointment. Slot Types - which slot types we offer over the IVR. Holders - which holders (Dr/Nurse) appointments to offer over IVR. Usual GP - this in combination will offer the caller his/her usual or registered GP. You can also build a team of session holders so a usual GP can be booked in conjunction with other team members. When used in conjunction with Holders - the list of holders is the intersect of usual GP (and team) intersected with Session Holders. Period - how many days to look for valid appoints for. offset - how much in the future do you want to start offering appointments for. Note, the slot type can also be passed down to the agent in the babblevoice rule. babble Vibes can be used to see statistics on the usage of this IVR module using the Statistics Vibe with the Auto Attendant report. When a call comes in for 3 then run the baaxml auto attendant agent://1658060e-3c72-22ga-23f43-6565903837839/emis?st=yay%20yay, then jump to extension Reception. The main agent URL is obtained from babblevoice Desktop. 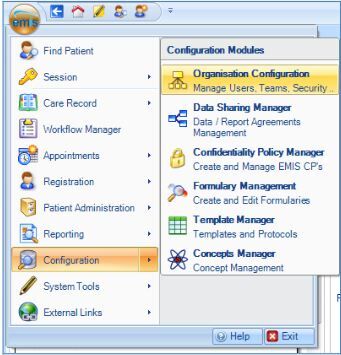 Select configure EMIS from the menu in babblevoice Desktop and it will show you the URL. In this example, we are also passing down the slot type. 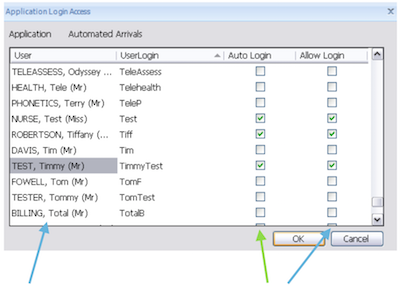 The slot type can be configured in babblevoice Desktop settings. But if you want different appointment types to be offered then passing down the slot type can be useful - for example different surgeries. To add a slot type to the agent URL. Take, ‘agent://1658060e-3c72-22ga-23f43-6565903837839/emis’ and add ‘?st=yay%20yay’ to it. Where yay%20yay is the slot type. If you have a space in the slot type name, you need to change the space to ‘%20’ (this is known as URL encoding). We have tried to create an simple out of the box ready to run system. However, you may wish to tweak some things within your own system, the following section details what tweaks can be made. emis_existingappointments.wav: You already have appointments booked with us, either cancel an existing appointment or please speak with a member of staff. emis_noappointmentsessions.wav: Sorry, we have no appointments available right now, please hold to speak with a person.